We are pleased to announce that here at Turner Sims we will soon be stocking Roskilly’s delicious range of organic ice cream. Combining world-class entertainment with award-winning ice cream to enhance your customer experience. The ice cream will be on sale pre-concert and during intervals for customers to sample an extended range of quality ice-cream whilst enjoying inspiring music. 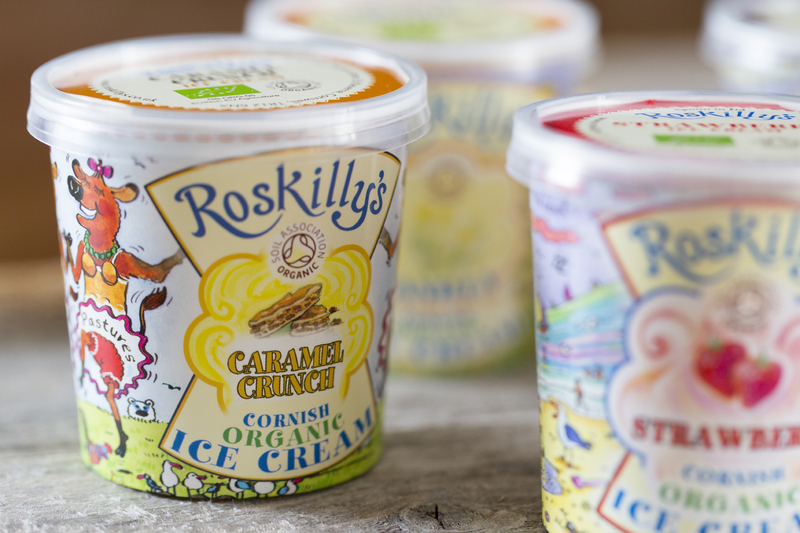 Roskilly’s ice cream only ever use milk and cream from their lovely Jersey herd, which graze on pastures that have been farmed in a traditional and sustainable way for generations on their organic, working farm situated on the Lizard peninsular in Cornwall. Turner Sims believe that in order to be a sustainable organisation we should consider environmental, social and financial performance and responsibilities. Land management – Use of and expansion of reed beds for grey water purification. On-site full sewage treatment works. Social sustainability – with 95% of the companies’ workforce employed from within a 5 mile radius. Biomass boiler – we have installed a 750KW biomass steam boiler to produce all the heat and steam required for the milk processing.